Zipson is a responsive blogger template for creating personal and portfolio blogs. Zipson is unique, modern and clean blogger template for creating portfolio, gallery or personal blogs. It is a responsive blog theme and gives consistent performance in most devices. 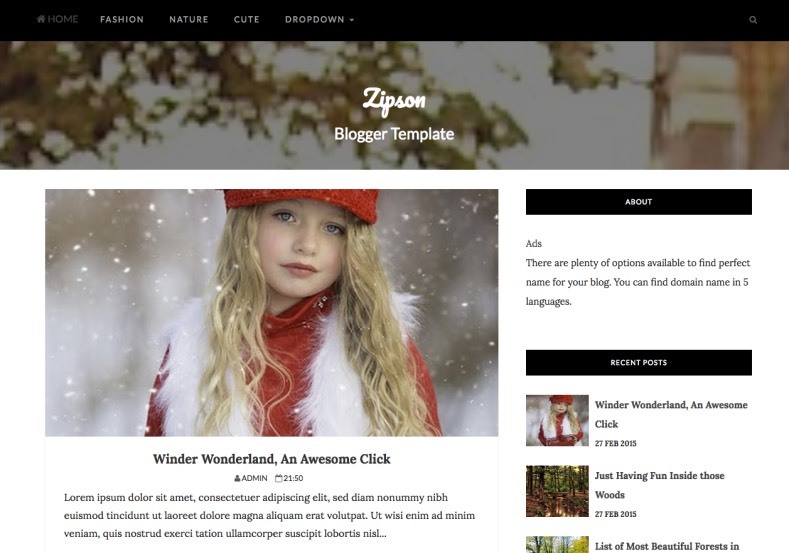 Zipson blogger template supports cover image support, pagination, navigation etc. It also have a blog search and related posts widget support.